I've written a good many short stories over the years, including a TV script and even a radio play once. Many of my stories have been published in a variety of magazines and anthologies, most in the horror and suspense genres. Here are just a few anthologies in which my writing has been published, as well as a few other "goodies." Cat & Mouse Press publishes an anthology every year on a "beach" theme, focusing on Rehoboth Beach, Delaware, and other nearby beach communities. The stories are all written by local writersMy story, "Marvin and the Haunted Mansion," was published in the Beach Nights edition. 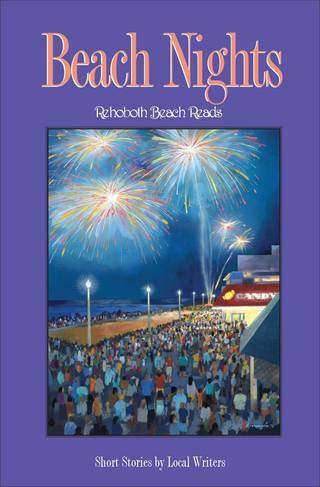 You can purchase Beach Nights: Rehoboth Beach Reads here! Edited by friend and fellow writer, Carson Buckingham, this wonderful anthology contains 28 horror stories by "not only the best of emerging horror writers but seasoned pros whose names you will no doubt recognize as well." My story, "White Hell, Wisconsin," is included. This story also appeared in my collection, Broken: Stories of Damaged Psyches. You can purchase The Best of the Horror Society 2013 here! The annual Creatures, Crimes, and Creativity (C3) conference near Baltimore is a favorite of mine, one I highly recommend. Every year, the folks behind the conference, Intrigue Publishing, publish an anthology specifically for attendees--the anthology is not for sale anywhere! In the 2014 edition, my story "The Last Hooky," was not only included, but topped the TOC of the anthology! I was truly honored. In the 2015 edition, my story was one of my favorites, "Blue Eye Burn." And in the 2016 anthology, "Welcome to the Food Chain." If you're within traveling distance, you may want to check out the conference details at the C3 website. My short story, "Blue Eye Burn," has been published in this Static Movement anthology. 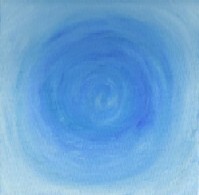 The story was originally published in Out & About, a Delaware magazine, back in 2004. This story was also included in my collection, Broken: Stories of Damaged Psyches. 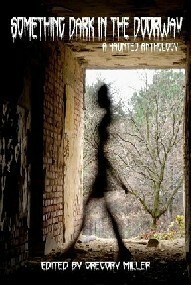 One of my stories, "Welcome to the Food Chain," was included in this Static Movement anthology. The story is about a hit man, a particularly nasty couple, and Crab Imperial. After a good deal of restructuring, my story, "SIZZLE," was accepted for this anthology published by Written Backwards. My short story, "DWF," was included in this Static Movement anthology. Probably my weakest story of the bunch, and not one that is likely to be reprinted. This is a podcast of my tongue-in-cheek horror story, produced by Norm Sherman and the Drabblecast folks. Think '80s teen horror movie, ideally starring Corey Feldman. You can listen to the show here. This is one of my oldest stories, and has been through several iterations over the years. 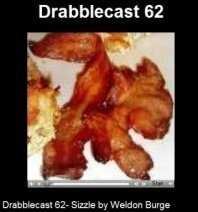 Listen to the Drabblecast episode here. 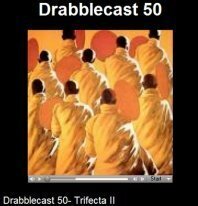 My flash story, "Performance Anxiety," was my first to be produced as a podcast, and Drabblecast did a fantastic job. It is the third story in the "Trifecta." You can listen to the show here. Stick with it 'til the end--you won't be disappointed!